Go back to FEATURED PUBLICATION PAGE. These are used copies of the outstanding mineral publication, The Mineralogical Record. All of these magazines are used and most of the issues are in overall very good condition, with some shelf ware, and minor scuffing. However, some have slight wrinkling from moisture exposure, possibly a little writing, and some bent pages. If you have a concern about the condition, please e-mail us before you buy and we will confirm the condition of any particular issue for you first. We recently acquired a complete set of back issues of the Mineralogical Record Magazine. So at the start of this listing, we have at least one copy of each issue from Vol 1 Nbr 1, in 1970, through 2012 (not all at the $11 price however). The picture in the listing is only an example to show this particular publication, and as issues sell, we may or may not have this one in particular still available. Click here to see the list of issues that we have. Those available at the $11 per issue price are indicated by a purple color in the box. The yellow boxes are issues we have, but for more than $11. If you are looking for any of those issues, please email us and we can let you know the details. All of these magazines are used and most of the issues we have are in overall very good condition, with some shelf ware, and minor scuffing. However, some may have wrinkling from moisture exposure, a few may have writing on them, or some bent pages. If you have a concern about the condition, please e-mail us before you buy and we will confirm the condition of any particular issue for you first. 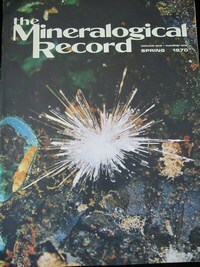 Mineralogical Record Magazine Vol 1 Nbr 1! 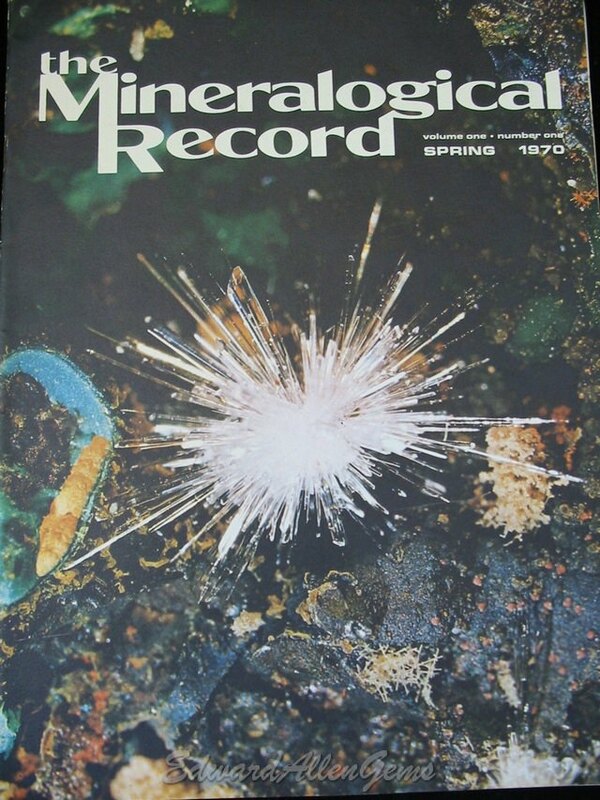 This is a used copy of the first issue of the Mineralogical Record magazine - Volume 1, Number 1, from Spring 1970. The photo is of the actual issue you will receive. It has a little discoloration on the back cover, some slight shelf ware, but is mostly in very good condition. This issue is no longer in print, and we believe that, even used, it is not as easy issue to come by. If you didn't find what you were looking for here, please check our eBay Store and search, or select the Magazine Back Issues category to find similar items. You can also contact us to find out if we have what you are looking for, but have not listed it yet.